Like many of you, Mrs Red and I have always enjoyed the Christmas season watching the many specials and movies. So many of them have a deeper message and some are just fun. I have come up with what is my top ten of all times. It is a special time of year and sometimes its present enough to give the time to just sit down and spend time with the ones you love and just watch some a the greatest specials of the season. The gift of treasured time spent together is sometimes one that we forget the most. Add to the list of ones that you love the most in the comments or in the forums. Far and away the greatest Christmas story. Everyone of us has had a “George Baily” moment. 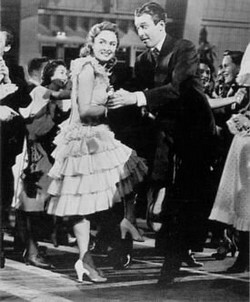 Its a Wonderful Life transcends time as we all touch so many lives and never really give it much thought. “Bread — that this house may never know hunger. Salt — that life may always have flavor.” –Mary. “Wine — that joy and prosperity may reign forever.” –George. ”Dear Father, I’m not a praying man, but if you’re up there and you can hear me, show me the way. I’m at the end of my rope. Show me the way, oh God.” –George. “You sit around here and you spin your little webs and you think the whole world revolves around you and your money! Well, it doesn’t, Mr. Potter! From the Island of Misfit Toys to Yukon Cornelius to the Bumble, a must see every year. The high ranking dates back to college drinking games where Red unfortunately had the mistake of picking Rudolf. Drink when he appears, drink when his name is mentioned and when he speaks. Oh my. I am swayed also by the fact that I have a best friend who actually looks like Hermie, although he is not a dentist. 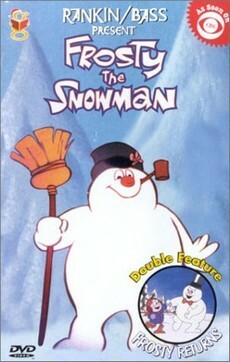 Burl Ives as the singing snowman. It doesn’t get any better than that. And as the song goes … “he’ll go down in history”. 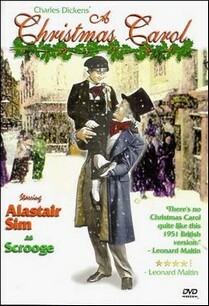 A true Christmas classic discussing in such an innocent manner the commercialism of Christmas and its true meaning. Any Christmas special that actually explains the real purpose of Christmas and references “Jesus” in it is more than worthy of a top three. “And there were in the same country shepherds abiding in the fields, keeping watch over their flocks by night. And lo, the angel of the Lord came upon them, and the glory of the lord shone round about them, and they were so afraid. And the angel said unto them, Fear not, for behold, I bring unto you good tidings of great joy, which shall be to all people. For unto you this day is born in the City of Bethlehem, a Savior, which is Christ the Lord. And this shall be a sign unto you; you shall find the babe wrapped in swaddling clothes and lying in a manger. And suddenly there was with the angel, a multitude of the heavenly host, praising God, and saying, ‘Glory to God in the highest, and on Earth peace, good will toward men’”. 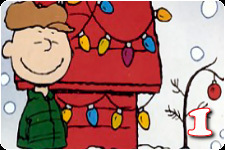 That’s what Christmas is all about, Charlie Brown. Fred Astaire playing the postman, delivering all our letters to Santa in that great vehicle. The Burgermeister Meisterburger, Winter and the Kringles. Songs like “Put One Foot In Front of the Other” play and next thing you know you cannot get it out of your head. Ralphie and the Red Rider B.B. gun. The 1940’s nostalgia in this story through the eyes of a kid are classic. This movie has more great quotes than could ever be listed. Mr Parker: He looks like a deranged Easter Bunny. Mr Parker: He does too, he looks like a pink nightmare! Narrator: NOW it was serious. A double-dog-dare. What else was there but a “triple dare ya”? And then, the coup de grace of all dares, the sinister triple-dog-dare. 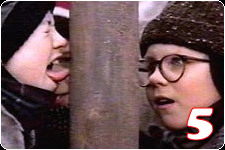 Narrator: Schwartz created a slight breach of etiquette by skipping the triple dare and going right for the throat! Santa sick? Taking Christmas off? Say it isn’t so. 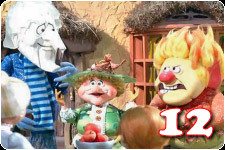 Two names describe this great Christmas special as most people remember it for them and not the actual name of the special. Talk about infectious songs that never leave your head. Take any one. 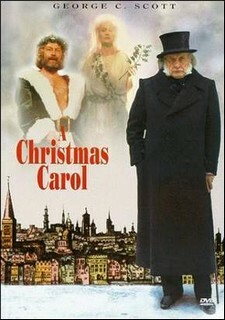 One just as good as the other and the all have great details of Dickens classic that the others do not. 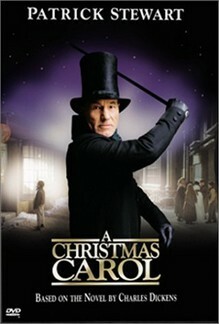 The immortal tale of Ebenezer Scrooge, a timeless and must always see classic. How can you go wrong with Jimmy Durante as the narrator? 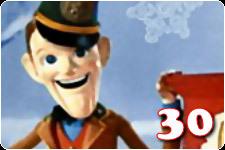 Professor Hinkle’s hat could do nothing for him, but did wonders for Frosty. Although there are too numerous quotes to mention the most memorable line and important is the following, “Happy Birthday”. As much as this is a children’s fun story, I have always believed that the happy birthday reference was the miracle of birth that took place on Christmas Eve. From Whoville to up the sides of Mt. Crumpit. The Grinch learns the real meaning of Christmas. Christmas is about love and peace for mankind and sharing it with one another, not only on Christmas Day but everyday. As Chuck Jones put it that evening, “When you work, only the love should show, not the work.” How The Grinch Stole Christmas has revealed that love for 30 years and will for many more decades to come. The miracle of Christmas, nothing need more be said. 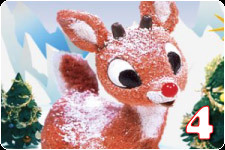 Daily Commentary – Thursday, December 17, 2015 – So What is Your Favorite Christmas Movie?